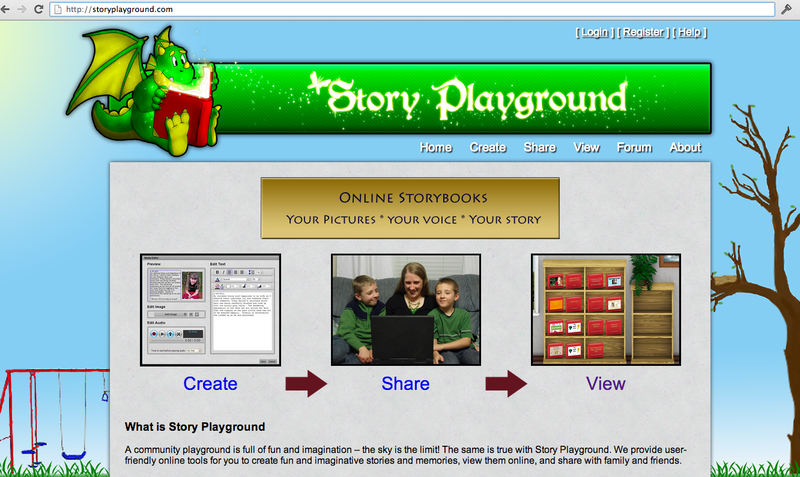 Two of my brothers worked together to build a very neat site to share stories: Story Playground. The idea is to take your photos and your voice and make a book that can be viewed over and over. It can be any story. Fun family vacation memories, stories from growing up or ones about the people in your family that came before. Top 10 lists, recipes, wishes for the future – whatever is shared is sure to be loved by those you love. Steven and Adam are experienced programmers with families. Years ago Steven recorded his grandpa telling stories. They have been able to share those stories with their children. His grandpa’s captured voice is animated and vibrant on the recording – just as Steven remembers him. Steven says those stories were an important part of his childhood. He wants to someday share them with his children’s children. He wants his children to also know his stories and voice and that’s one big reason behind Story Playground. His children are also loving telling their own stories and expressing their imagination and creativity. Creating a “virtual” book is free. You can make as many changes as you want. When it is how you like you can purchase virtual copies to share with family and friends. A standard 20-page book is about $10 for 2 gift copies and the price per copy gets less the more you buy – $30 for 30 gift copies. The stories are available online the moment they are shared. In the not-too-distant past I checked into the costs of making an ebook. It was hundreds of dollars. This is sooo much more affordable. I also love that you can buy the copies to share – and all the viewer needs on their end is a free account to view the book. Already have an account or want more than one story to share? One purchase per customer is eligible for the half-off deal. Just enter the promo code P-Spring50 at checkout.